Former CJI H.L. Dattu on Monday took charge as the Chairman of the National Human Rights Commission. The NHRC post had been lying vacant since May 11 last year, when Mr. K.G. Balakrishnan demitted office after his five-year term. Justice Cyriac Joseph had been functioning as the acting chairperson since then. Born on the 3rd December, 1950 in Chikamagaluru district of Karnataka, Justice Dattu, after completing his early education in Kadur, Tarikere and Birur, moved to Bengaluru to pursue his higher studies. He completed his LL.B. from Bengaluru and enrolled at the Karnataka Bar Council on the 23rd October, 1975 as an Advocate and pleaded in civil, criminal, constitutional and taxation matters. He was appointed as a Judge of the Karnataka High Court on December 18, 1995 and was elevated as the Chief Justice of Chhattisgarh High Court in 2007, after which he was transferred to Kerala High Court. He was elevated to the Supreme Court in 2008, following which he went on to head the Apex Court of the country from September 2014. Justice H.L. 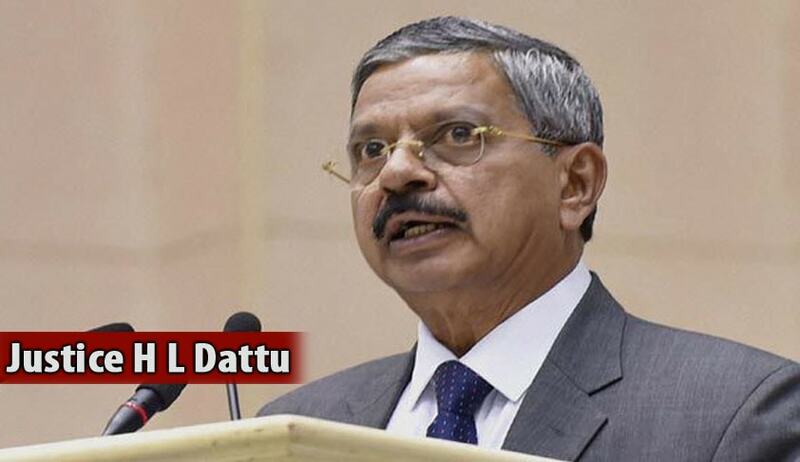 Dattu retired as the CJI on December 2, 2015, and was being pegged as the most likely candidate for the post, even before he had demitted office. Reacting to the news of the proposed appointment in an email to LiveLaw in November last year, Senior Advocate and former Additional Solicitor General Ms. Indira Jaising had stated that the news was “particularly disturbing” as it had come while he was still the Chief Justice.